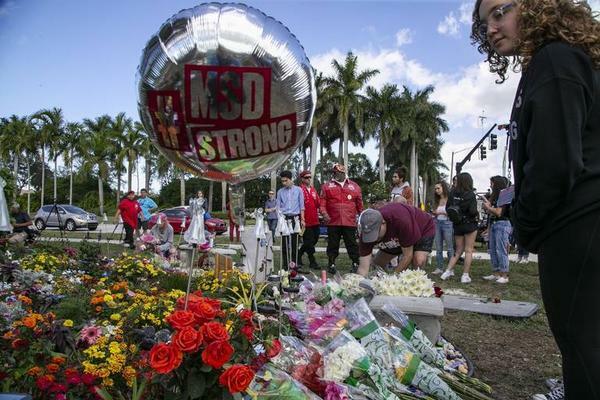 Flowers and balloons are laid at a memorial outside of Marjory Stoneman Douglas High School during the one-year anniversary of the shooting death of 17 students and faculty members at the Parkland school on Thursday, Feb. 14, 2019. “I’m a little leery about going any further, but I need you all to tell me what you want to do,” Gualtieri said at the meeting, asking for input from the rest of the group. The Marjory Stoneman Douglas High School Public Safety Commission's consideration of its responsibility to examine mental health follows two apparent suicides by Parkland survivors. It also comes amid a fervor of complaints from Stoneman Douglas students and teachers that their mental health needs were not met following the shooting that left 17 dead, another 17 injured and thousands more traumatized on Feb. 14, 2018. The commission has also stayed away from discussing gun control. The group has largely focused on hardening schools, including recommending that some teachers be allowed to carry guns. That’s contrary to what the commission wrote in its initial report, which was due in January under a deadline set by the state Legislature. A review of the agendas for the commission’s meetings show mental health has been a distant focus. During its July 2018 meeting, the commission heard presentations about behavioral threat assessments — the processes by which educators, law enforcement officers and mental health providers consider whether students pose a danger to their classmates. The same month, there was an overview of Florida’s Baker Act, which governs when people can be involuntarily treated for mental health issues. In August and November, the commission learned about confessed shooter Nikolas Cruz’s life, including the mental health services he received from Henderson Behavioral Health, an organization that is currently facing lawsuits from family members of victims. And during this week’s meeting, there was a scheduled presentation on school-based mental health services, as well as the coordination between schools and community mental health providers — but the commission ran out of time and pushed it to a future meeting. 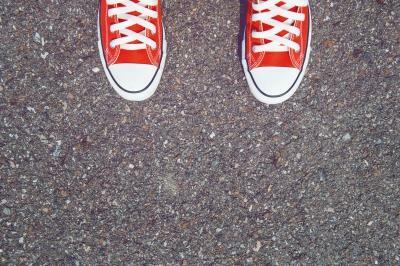 Now, it looks as if the commission is scaling back plans to study mental health further. Not all commission members agreed with that tack. “What have we done to prevent this from happening again on that aspect?” said member Max Schachter, whose son Alex was killed at Stoneman Douglas last year. “I felt very unsatisfied” with the work the commission has already done on mental health issues, Schachter said. He argued they learned about Cruz’s history, but they didn’t identify what went wrong in his mental health treatment that could be fixed to prevent troubled students from committing violent acts in the future. Other members suggested recommending that a different entity take up the issue. “Every time there’s a mass shooting, the first thing that’s said publicly is, ‘That was a person with a mental health issue. There’s no gun issue; it’s a person with a mental health issue.’ So I don’t think that we can look at all the issues we looked at, and then punt down the road on the mental health issue,” said Mike Carroll, former secretary of the Florida Department of Children and Families. “At a minimum, I would think that we make a recommendation that there be follow up by some group who’s more qualified than this group,” he said. Gualtieri concluded that the commission should examine mental health care in schools and also how schools interact with outside providers, but not “[jump] into that whole big ocean” of examining the effectiveness of Florida’s mental health treatment system writ large. “We’re going to leave that for somebody else,” Gualtieri said. Coming after the grim news that two survivors of the Marjory Stoneman Douglas High School massacre committed suicide this month, Gov. Ron DeSantis and First Lady Casey DeSantis held an hour-long “listening” session Thursday on mental-health issues.